Recently I was visiting one of my favourite places in Manchester... The Manchester Art Gallery which open 7 days a week and is free to all visitors. They have held an I intriguing Alice in Wonderland-esque exhibition since February by an amazing artist called Raqib Shaw! An artist who is inspired by the classic artist pieces from the Asia and had incorporated them into Klimpt style paintings. When watching his video, before viewing, he explains how his work is the combination of cheap paints, glass and rhinestones. Safe to say his work is truly breath taking. For me the Manchester gallery is one of the best UK exhibits I've been to as it houses a variety of artwork and sculptures, including a dedicated space to works from Manchester artist L.S Lowry. The Tate Modern is a free gallery located on the River Thames and London Eye near the Embankment tube stop. I have visited this gallery so many times, my most recent to see the David Hockney exhibition. It showcases some of the bed artwork from around the world. The Nottingham Contemporary Gallery is located in the heart of the city and is free for visitors. Open Tuesday through to Sunday, it houses some of classic and up and coming artists from exhibitions to films to family events, there is something for everyone. 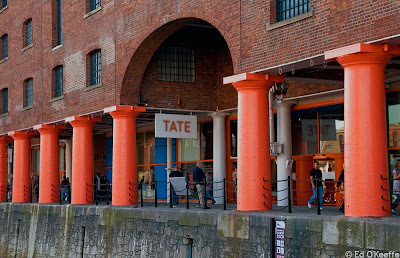 I love the Tate Galleries, especially the one on in Liverpool as it is the closest to me. This is a free gallery also and is found down on the Liverpool Docks. As art is one of my other passions, I'd love to know your thoughts on the best UK art galleries that you have visited!